Biting The Hand That Feeds You: Built to Amaze! The Greatest Show on Earth! Built to Amaze! The Greatest Show on Earth! Feld Entertainment has provided me with a 4-pack of tickets to take my family to Ringling Bros. and Barnum & Bailey® Presents Built To Amaze!® in exchange for this post and a review. All opinions expressed are my own. My favorite circus acts have always been the aerialists and balancing acts, but my girls are allll about the animals! Which makes the Ringling Bros. and Barnum & Bailey® Presents Built To Amaze!® shows perfect, since they have a fantastic mix of both, plus so much more! My family and I will be attending opening night at the Showare Center - will I see you there? The all-new Ringling Bros. and Barnum & Bailey® Presents Built To Amaze!® plays the Showare Center in Kent, WA from September 24 – 27 and XFINITY Arena in Everett, WA from October 1 – 4, 2015. Use code MOM5 to take $5 off on $25 and $20 tickets for the Sat 3:30 and Sunday 1:00 performances ONLY, in Kent and Everett. Six ticket maximum…valid online and by phones until Friday, Sept. 18th. 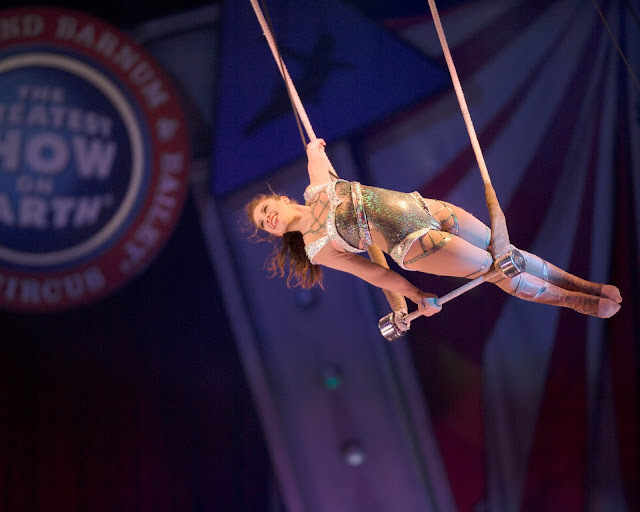 Ringling Bros. and Barnum & Bailey® Presents Built To Amaze!® is an extraordinarily engineered circus experience where Children Of All Ages find out what it takes to build The Greatest Show On Earth®. 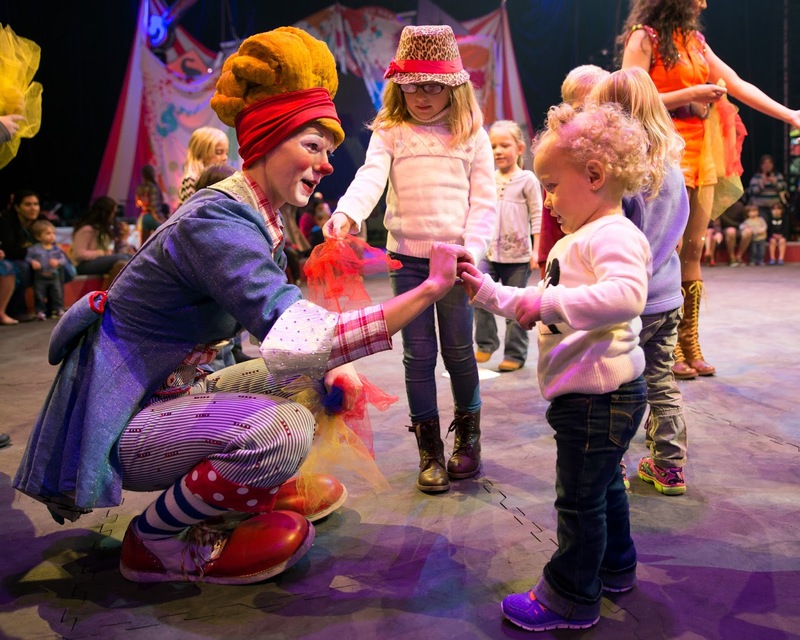 Ringmaster and Master of Construction Andre McClain works alongside award-winning comedic clown Davis Vassallo to create an up-close and interactive family experience. 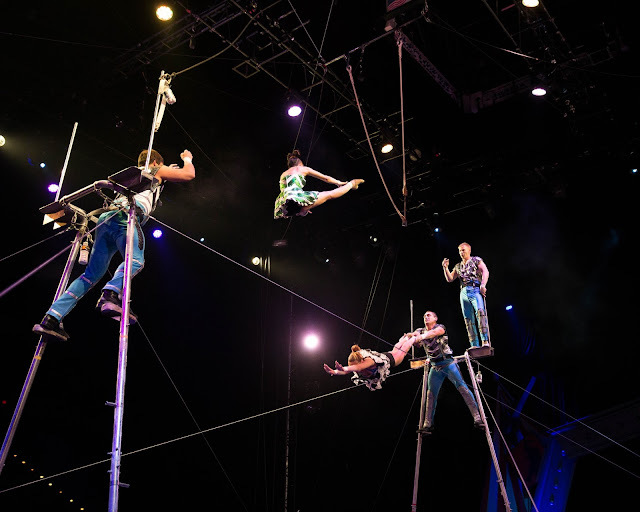 An international cast of circus artists sets the foundation with high-energy hijinks and hilarity as they assemble The Greatest Show On Earth right before the audience’s eyes. Custom-built for family fun, this show features horsepower with an exciting blend of traditional and modern showmanship on horseback. There is also a high-flying single trapeze that will have audiences cheering with each grab of the bar. The nail-biting crossbow act and legendary elephants, this time featuring a little and a big elephant, will also grace the ring. 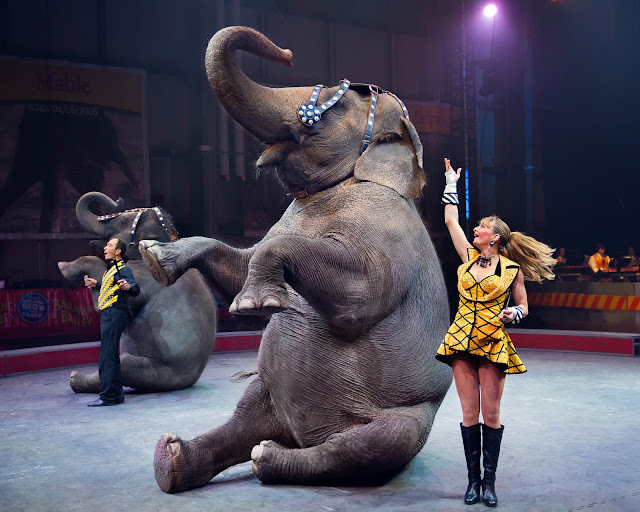 Fans will get the chance to meet four-year-old April and 47-year-old Asia and see the adoring relationship between these performing pachyderms. Incredible athletes continue to build the energy throughout this production with the only basketball game of its kind on unicycles, a graceful husband and wife hand-balancing duo that displays the true strength of a woman, and a powerful aerial display with high-flying trapeze artists flipping and swinging through the air without the use of a bar or net. The party starts at Ringling Bros. Presents Built To Amaze! an hour before show time with the All Access Pre-show, where everyone is invited to join the fun on the arena floor and meet the international cast. Audiences can pick up hip dance moves during the dance party, try on custom costumes, learn circus skills like juggling from the famous Ringling Bros. Clown Alley, walk the low wire and even have the opportunity to witness and win a one-of-a-kind pop art masterpiece created by one of the world-famous Ringling Bros. painting pachyderms. Ticketholders can purchase an upgrade and go backstage with a VIP Behind the Scenes Tour of Ringling Bros. and Barnum & Bailey. The backstage experience includes an insider look at props and wardrobe, an up close and personal encounter with the animals and a chance to meet stars from the show. Fans will also have an opportunity to take pictures and learn educational fun facts. 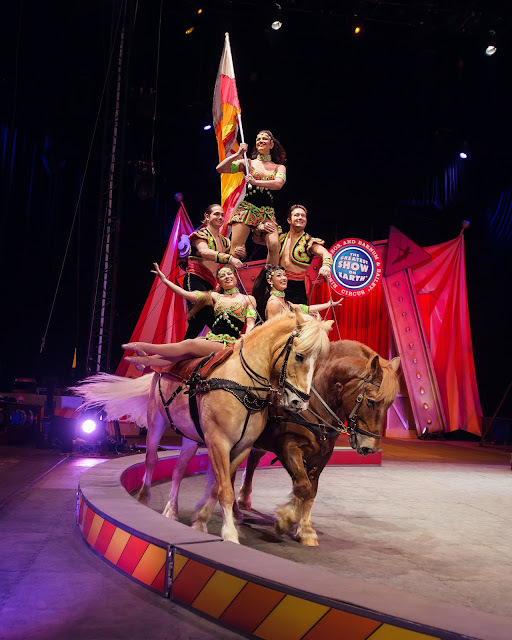 To take advantage of this once-in-a-lifetime experience, just log on to ringlingbros.expapp.com from your iPhone or Android smartphone and provide your name, email and phone number to become a VIP circus insider. Tickets for Ringling Bros. and Barnum & Bailey Presents Built To Amaze! are available on Ringling.com.